Covering all the major Hindu practices, festivals, beliefs, gods, sacred sites, languages, and religious texts, this is the most comprehensive Hinduism dictionary of its kind. It contains 2,800 entries on everything from Tantra to temples, from bhakti to Divali, as well as biographical entries for key thinkers, teachers, and scholars. All entries are clear, concise, up to date, and fully cross-referenced. With its coverage spanning 3,500 years of Hinduism - from the religion's conception to Hinduism in the 21st century - this brand new A-Z also acknowledges the historical interplay between Hindu traditions and others, for example, Buddhist, Jain, Sikh, and Islamic. Detailed appendices include maps, pronunciation guide, a chronology, principal sources and further reading, and useful websites. 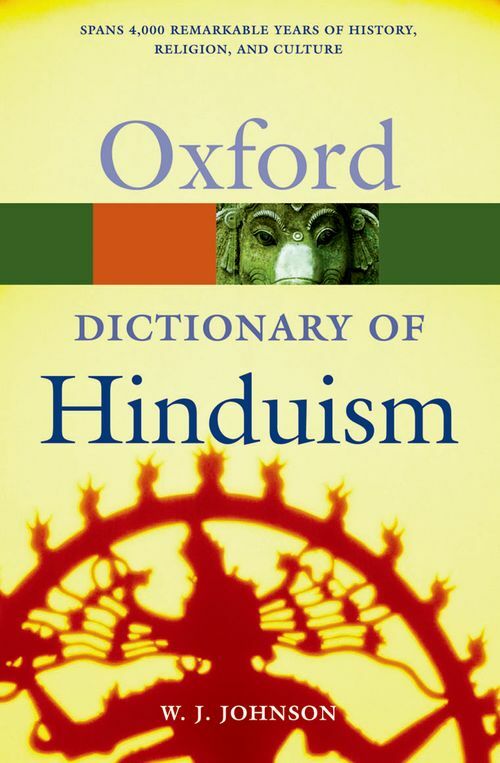 This dictionary is an invaluable first port of call for students and teachers of Hinduism, theology, Asian studies, or philosophy, as well as the related disciplines of history, sociology, and anthropology. It is also an ideal source of reference for all practicing Hindus and for anyone with an interest in Indian religions and culture. Dr William Johnson is Senior Lecturer in Religious Studies, Cardiff University. He has translated and written introductions and notes for the Oxford World Classics series, including for The Bhagavad Gita. He has contributed to Longman's Dictionary of Contemporary Religions: A World Guide, Encarta, and has been a consultant on Asian religions in the New Shorter Oxford English Dictionary. He has also published a book, Harmless Souls, and various articles on the ancient Indian religion of Jainism.